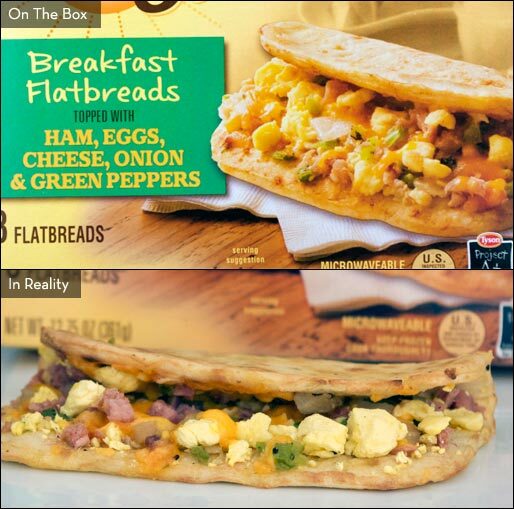 I tried 2 varieties of Day Starts Breakfast Flatbreads: 1) Egg, Sausage & Cheese; and 2) Ham, Eggs, Cheese Onion & Green Peppers. I found both to be easy to prepare and generally quite tasty. The flatbreads are microwaved on an included "crisping board" for 1 minute and 30 seconds. Although, I found that the bread came out more crisp after 1 minute and 35 seconds. The actual flatbread does get fairly crisp on it's outermost edges. The egg pieces are smaller than if you made something like this from scratch, but the taste is good. The amount of cheese was right where it should be. It may have been better if there was a bit more sausage and if the sausage was browned more during the pre-cooking process. 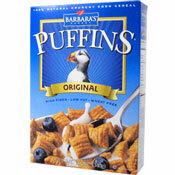 All things considered, this tasted pretty good and satisfied my breakfast craving. As the name might suggest, this one has more going on flavor-wise. The addition of veggies adds a brightness to this product that I liked. The pieces of ham are diced very, very small. It would have felt more like a homemade dish if they were larger. 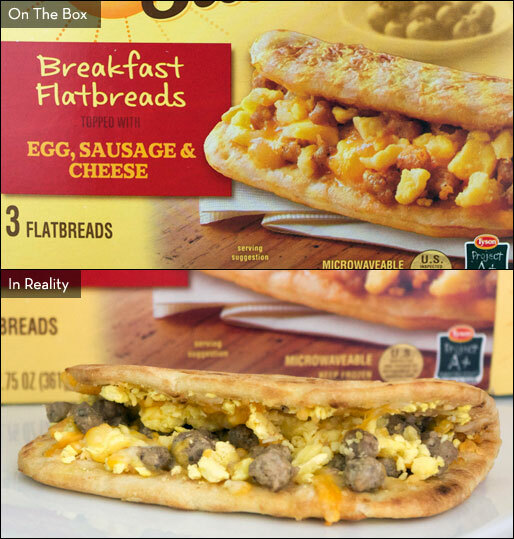 If you sent me to the grocery store to buy one more box of Day Starts Breakfast Flatbreads, I would probably choose this version over the Egg, Sausage & Cheese variety. Final Verdict: I would buy these again. Recommended. 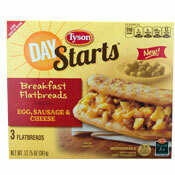 What do you think of Day Starts Breakfast Flatbreads? I found the Ham, Egg, Cheese and Onion flatbreads to be excellent, just the right amount of crispness (no hardness) to the bread and a good mix of the fillings. I added a bit of fresh cilantro to mine and loved the addition. I may try some fresh basil the next time I have both the flatbreads and the herb in my kitchen. All in all, a very good product which does not NEED additions which I often add to prepared food items.